There’s one absolute truth we can’t deny: The most memorable nights are the ones without a plan. With so much of our lives built on schedules, spontaneity can feel like an exotic concept, but it’s one we should embrace far more often. Fortunately, it’s never been easier to turn an impromptu decision into one killer night. Ticketmaster is your go-to site for getting in the door last minute to even the most in-demand concerts and events. And when you can score a sought-after ticket in town, you’ve got to drop everything else—even that chill night you’ve planned with your couch—and just go for it. Still, there’s nothing wrong with always being a little prepared for such a spontaneous occasion. Here’s how to easily and efficiently go from day to night, even when you’re least expecting it. Aside from looking good, comfort and functionality are key to any outfit that can effortlessly take you from the office to the arena. First off, your footwear is everything. Keep a comfortable pair of concert-ready shoes—like ankle boots, flats, or stylish sneakers—at your office to always have on hand. Next, you want to think in layers. Have a lightweight leather jacket and black bottoms of any kind on the ready. Shirts, skirts, pants, dresses, and even the right athleisure wear that feature small hidden pockets are also ideal for storing cash and possibly your phone so that you’re more free to mingle and move. There may be nothing more key to a successful night out than having the perfect bag. It should have enough pockets and spaces to organize all of your crucial items, but it shouldn’t be too big or cumbersome. Your bag should hold only your essentials: your ID, extra cash (for food, drinks, and merch), an emergency credit card, a pair of earplugs, your phone cord, a portable phone charger, a few hairbands, and maybe some lip balm and a small stash of aspirin—just in case. Remember that many venues require screening of all bags and purses, so be prepared for security. If possible, rely on secure pockets (see outfit preparation above) and try out a belt bag (aka fashionable fanny pack) for more hands-free fun. Ticketmaster: To get the best seats to the best show, even at the very last minute. Instagram: To document your night, of course. Waze: To get you there and back in half the time. ParkMe: To protect your car and your sanity. Uber or Lyft: To get you there and back without the stress. Skorch: To see what the hottest restaurant or bar is at this very instant. Once you’ve got your last-minute ticket secured, there are just a few more things to do: fuel up, stay hydrated, and forget about tomorrow’s responsibilities—because this may be your best night yet. 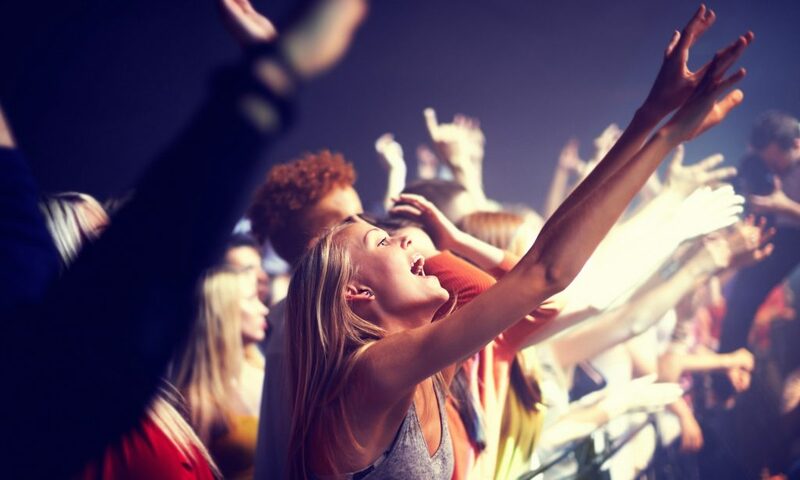 Go from day-to-night with ease when you can still get in the door last-minute with Ticketmaster. Check out the wide array of concerts worth checking out around Los Angeles below.